Long time Leonia resident and thirty-year computer industry veteran, Rick DeMarco, recently opened a new Computer Troubleshooters franchise in the greater Leonia/Englewood area. Ranked the #1 Tech Support franchise in Entrepreneur magazine, Computer Troubleshooters provides a complete range of computer services, including repair, upgrades, virus removal, software support, data backup, and networking to individuals and small businesses. 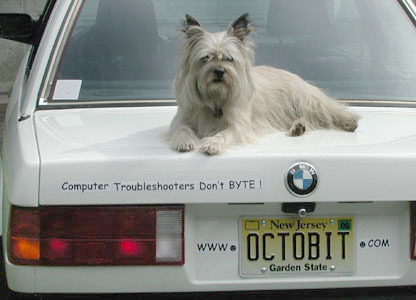 Unlike computer stores, Computer Troubleshooters work mostly onsite, at the customer's location. Rick says, "After working for corporations my entire life, I'm delighted to operate my own business. I feel that my success as a Computer Troubleshooter is due to my technical knowledge and lifelong love of computers. I enjoy solving customers' problems. This also allows me to build personal relationships with individuals and small business owners in order to develop service programs tailored to their individual needs." Rick feels that friendly, customized expert service, quick response time, and reasonable rates are what separate Computer Troubleshooters from the competition. "Best of all, I come to your door. There's no need to endure a malfunctioning computer day after day. Who can put up with that?" Business owners and individuals based in the Leonia/Englewood area not only have Rick DeMarco's expertise, they have access to the worldwide network of "Computer Troubleshooter" professionals. The new Leonia/Englewood location joins 9 other New Jersey Computer Troubleshooters franchises. Already the largest on-site computer service network of its type with over 200 offices worldwide, Computer Troubleshooters offers a broad range of services including solving minor Windows problems to virus protection and backup, setting up and maintaining networks, and performing routine monthly maintenance for small business clients.